Porsche 911/914-6 Electric Fuel Pump. This is the one for carbureted cars. Part number 0 580 960 009 / 0580960009 Connected to a 12V power source - it works and is quiet. Porsche number: 911 608 107 00, 911 608 107 01, 911 608 107 03 (I think) According to online sources it is correct for 911 1964-1990 and 914-6 1969-1976. PORSCHE 94460810200, 94460810203, 94460810204, 94460810206, 94460810207. PORSCHE 944 3.0 S2 Coupe Petrol 12/1988 07/1991 RWD 16 211 155. PORSCHE 944 Convertible 3.0 S2 Convertible Petrol 12/1988 07/1991 RWD 16 211 155. 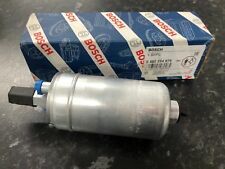 PORSCHE 924 2.0 Fuel Pump In Line 80 to 89 Bosch. PORSCHE 924 2.0 Coupe Petrol 11/1975 08/1989 RWD 8 125 92. PORSCHE 924 2.0 Carrera GT Coupe Petrol 06/1980 10/1986 RWD 8 209 154. PORSCHE 924 2.0 Turbo Coupe Petrol 06/1980 10/1986 RWD 8 177 130. PORSCHE 94460810200, 94460810204, 94460810207. PORSCHE 911 3.2 Coupe Petrol 08/1986 08/1989 RWD 12 218 160. PORSCHE 911 3.2 SC Carrera Coupe Petrol 08/1983 08/1989 RWD 12 231 170. PORSCHE 911 3.2 SC Carrera Coupe Petrol 02/1984 06/1987 RWD 12 207 152. Multiple choices exist for:PORSCHE MACAN 3.0 High Pressure Pump. FOR PORSCHE MACAN. Fuel Type:Diesel. This is an original quality part manufactured by Bosch. PART CHOICE ALERT. Part specifications. BMW M1 1979 E26 [1979-1983] Coupe Coupe 3.5 3453ccm 278HP 204KW (Petrol). BMW M1 1980 E26 [1979-1983] Coupe Coupe 3.5 3453ccm 278HP 204KW (Petrol). BMW M1 1981 E26 [1979-1983] Coupe Coupe 3.5 3453ccm 278HP 204KW (Petrol). FOR PORSCHE 911 993. This is an original quality part manufactured by Bosch. Fitting Position:Fuel Line. Vehicle compatibility. Part specifications. Multiple choices exist for:PORSCHE 911 3.0 Fuel Pump. FOR PORSCHE 911. This is an original quality part manufactured by Bosch. Fitting Position:Fuel Line. Vehicle compatibility. PART CHOICE ALERT. Part specifications. FOR PORSCHE 911. This is an original quality part manufactured by Bosch. Fitting Position:Fuel Line. Vehicle compatibility. Part specifications. Multiple choices exist for:PORSCHE 911 3.3 Fuel Pump. FOR PORSCHE 911. This is an original quality part manufactured by Bosch. Fitting Position:Fuel Line. Vehicle compatibility. PART CHOICE ALERT. Part specifications. Fuel Mixture Formation: Common Rail (CR). Fuel Type Diesel. Engine Code: CKVB; Engine Code: CKVC; Model year from: 01/2012; Fuel Mixture Formation: Common Rail (CR). PORSCHE 95811031510, 95811031511. Engine Code: CKVB; Engine Code: CKVC; Model year to: 04/2016; Fuel Mixture Formation: Common Rail (CR). FOR PORSCHE 911. This is an original quality part manufactured by Bosch. Fitting Position:Fuel Line. Vehicle compatibility. Part specifications. Q2958Q, Q2959Q, Q2960Q, Q2961Q, Q3019Q. Engine Code: CAPA; Model year from: 04/2008; Model year to: 05/2008; Fuel Mixture Formation: Common Rail (CR); Chassis no.8A040 001; Chassis no.8N015 001; or; Engine Code: CCWA; Model year from: 06/2008; Fuel Mixture Formation: Common Rail (CR); or; Engine Code: CCLA; Model year from: 11/2010; Fuel Mixture Formation: Common Rail (CR). PORSCHE 911 993 3.8 Fuel Pump In Line 95 to 97 Bosch. PORSCHE 911 (993) 3.6 Carrera Coupe Petrol 10/1993 08/1995 RWD 12 272 200. PORSCHE 911 (964) 3.6 Carrera Coupe Petrol 07/1989 09/1993 RWD 12 250 184. Fitting Position Fuel Line. PORSCHE 911 608 102 02. BOSCH Part Number 0 580 254 053. Does this part fit my vehicle?. How much to send my order overseas?. VW 911 608 102 02. VW 431 906 091 A. ROLLS-ROYCE UR 22696. Intake Manifold Injection/ Carburettor - Fuel Line - Electric - without connector parts -. Targa / Petrol / Rear Wheel Drive. PORSCHE 914 2. BOSCH WIPER BLADES & MOTOR. CHAMPIONS WIPER BLADE. BOSCH IGNITION & FUEL PARTS. FOR PORSCHE 959. This is an original quality part manufactured by Bosch. Fitting Position:Fuel Line. Vehicle compatibility. FOR PORSCHE 968. This is an original quality part manufactured by Bosch. Fitting Position:Fuel Line. Vehicle compatibility. Part specifications. PORSCHE 96462010400. PORSCHE 911 (964) 3.6 Carrera Coupe Petrol 07/1989 09/1993 RWD 12 250 184. PORSCHE 911 (964) 3.6 Carrera 4 Coupe Petrol 12/1988 09/1993 AWD 12 250 184. PORSCHE 911 (964) 3.6 Carrera RS Coupe Petrol 06/1991 09/1993 RWD 12 260 191. FOR PORSCHE 911 964. This is an original quality part manufactured by Bosch. Fitting Position:Fuel Line. Vehicle compatibility. Part specifications. PORSCHE 911 Fuel Pump 0580464058 3.6 01/89-01/94. Fuel Line Electric without connector parts, Intake Manifold Injection/ Carburettor. Convertible / Petrol / All-wheel Drive. PORSCHE 911 -964 3.6 Carrera. PORSCHE 043906091, 92309490635. VW 043906091, 251906091. PORSCHE 914 2.0 Targa Petrol 01/1972 12/1975 RWD 8 100 74. VW TRANSPORTER / CARAVELLE Mk III Bus 1.9 Bus Petrol 01/1983 07/1985 RWD 8 83 61. VW TRANSPORTER / CARAVELLE Mk III Bus 1.9 Bus Petrol 08/1983 07/1985 RWD 8 90 66. Multiple choices exist for:PORSCHE 924 2.0 Fuel Pump. FOR PORSCHE 924. This is an original quality part manufactured by Bosch. Fitting Position:Fuel Line. Vehicle compatibility. PART CHOICE ALERT. 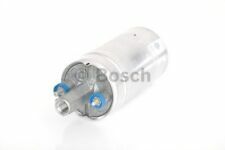 PORSCHE 911 964 3.6 Fuel Pump 1993 M64.50 Bosch. PORSCHE 911 (964) 3.3 Turbo Coupe Petrol 08/1990 09/1993 RWD 12 320 235. PORSCHE 911 (964) 3.3 Turbo S Coupe Petrol 06/1991 12/1992 RWD 12 355 261. PORSCHE 911 (964) 3.6 Turbo Coupe Petrol 01/1993 09/1993 RWD 12 360 265. Porsche 924 - model year 1976-1979. Porsche 911 T K -. Model year 1972-. Porsche 911, 911S, K-Jetronic - model year 1974-1976. Manufacturer: BOSCH. Fuel storage. 1 piece fuel storage. Zustand Neu. 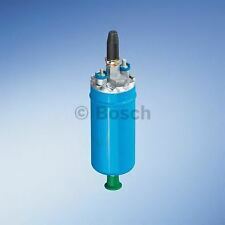 PORSCHE 944 Fuel Pump 0580464021 2.5 01/81-01/91. Fuel Line Electric without connector parts, Intake Manifold Injection/ Carburettor. Coupe / Petrol / Rear Wheel Drive. PORSCHE 944 2.5. BOSCH WIPER BLADES & MOTOR. Multiple choices exist for:PORSCHE 928 4.7 Fuel Pump. FOR PORSCHE 928. This is an original quality part manufactured by Bosch. Fitting Position:Fuel Line. Vehicle compatibility. PART CHOICE ALERT. PORSCHE 959 Fuel Pump 0580254918 2.8 01/86-01/91. Fuel Line Electric without connector parts, Intake Manifold Injection/ Carburettor. PORSCHE 959 2.8. Coupe / Petrol / All-wheel Drive. BOSCH WIPER BLADES & MOTOR. BENTLEY BROOKLANDS 6.75 16V 07/1992 -. BENTLEY BROOKLANDS 6.7 Long 10/1992 -. IMPORTANT NOTES: Construction year to: 08.1997;TecDoc Engine Number: BENTLEY L 410 I. BENTLEY BROOKLANDS 6.7 R 10/1992 -. BENTLEY CONTINENTAL 6.75 V8 S 05/1994 -. Multiple choices exist for:PORSCHE 911 3.3 Fuel Pump. FOR PORSCHE 911. This is an original quality part manufactured by Bosch. Fitting Position:Fuel Line. Vehicle compatibility. PART CHOICE ALERT. Intake Manifold Injection/ Carburettor - Fuel Line - Electric - without connector parts -. Coupe / Petrol / Rear Wheel Drive. PORSCHE 928 5 S,S4. BOSCH WIPER BLADES & MOTOR. CHAMPIONS WIPER BLADE. BOSCH IGNITION & FUEL PARTS. Intake Manifold Injection/ Carburettor - Fuel Line - Electric - without connector parts -. Coupe / Petrol / Rear Wheel Drive. PORSCHE 928 4.7 S. BOSCH WIPER BLADES & MOTOR. CHAMPIONS WIPER BLADE. BOSCH IGNITION & FUEL PARTS. PORSCHE 93060811101, 93060811300. PORSCHE 911 (964) 3.3 Turbo Coupe Petrol 08/1990 09/1993 RWD 12 320 235. BMW M1 (E26) 3.5 Coupe Petrol 05/1979 05/1983 RWD 24 278 204. PORSCHE 911 (964) 3.3 Turbo S Coupe Petrol 06/1991 12/1992 RWD 12 355 261. 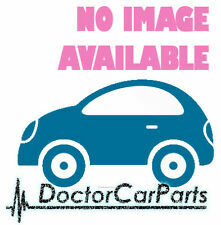 PORSCHE CAYENNE High Pressure Pump 0445010685 3 01/10-. PORSCHE CAYENNE 3 Diesel. BOSCH WIPER BLADES & MOTOR. CHAMPIONS WIPER BLADE. APEC WHEEL BRAKE CYLINDER. APEC BRAKE DISC & PADS KIT. BOSCH IGNITION & FUEL PARTS. 1969 Porsche 2.0L 911 (E). 1969 Porsche 2.0L 911 (E). AUTHENTIC BoschMFI Space Cam. LIST OF KNOWN SPACE CAMS. OEM Porsche 911(E) 2.0L. under normal use and service, for a period of (1) one year from the original. PORSCHE CAYENNE High Pressure Pump 0986437404 3 01/10-. PORSCHE CAYENNE 3 Diesel. BOSCH WIPER BLADES & MOTOR. CHAMPIONS WIPER BLADE. APEC WHEEL BRAKE CYLINDER. APEC BRAKE DISC & PADS KIT. BOSCH IGNITION & FUEL PARTS.